Following the retirement of long-time Editor, Dr. Brian Cuthbertson, and the appointment of a new Editor, Copy Editor, and Editorial Committee, Volume 20 of the Journal (2017), provided to all who were members in 2017-2018, was delayed until April 2018. 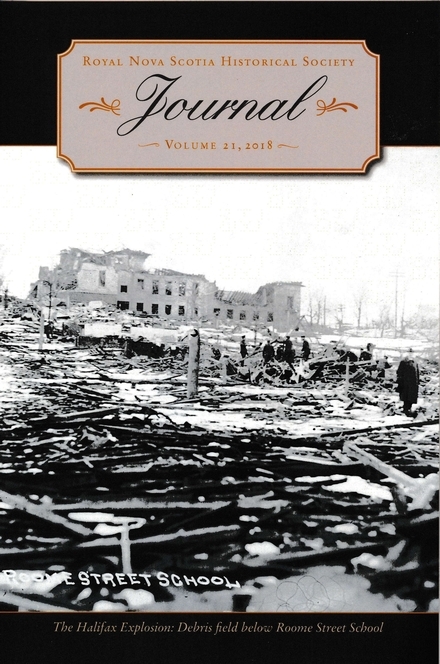 Volume 21 (2018) was published in February 2019, and will be provided to all members for the year 2018-2019. The normal publication schedule will resume in September 2019. To check on your membership status please contact the Membership Secretary. 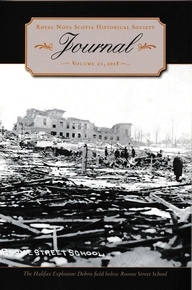 In 1998, the Society began publication of the Journal of the Royal Nova Scotia Historical Society, a successor to both the Collections and the Nova Scotia Historical Review (the NSHR was published by the Nova Scotia Archives). It is normally published once a year, and Society members each receive a copy of the Journal as well as notification of the Society's yearly lecture series and general meetings. The journal has recently been made available online through ProQuest. An index to the Collections and Journal of the Royal Nova Scotia Historical Society was prepared with the assistance and support of the PATHs program of Canada's National History Society. They generously provided the Royal Nova Scotia Historical Society with two grants which underwrote the preparation of an index that included all of the materials the Royal Nova Scotia Historical Society has published since its inception in 1878. Click here to download full index pdf. Many back issues of our journals are available for purchase. Please contact us at info@rnshs.ca with your request. Information about the most recent issue of the Journal appears below.